This is the third article in a series about hiring a music therapist in long-term care. For an introduction to the series and links to other posts, please click here. Most of the clients I see in long-term care are in music therapy groups. By my definition, these groups are smaller – usually no more than 12 people – and they are built around a variety of experiences that are meant to engage the group members in music, with group and individual goals guiding the group process. Some music therapy groups in long-term care may be designed with a focus on physical rehabilitation/exercise or deeper psychological processing, but for the majority of my groups, the focus is on residents sharing their lives with one another through music. That means our primary group goals are often social interaction, creative emotional expression, and life review. Perhaps the most obvious advantage, music therapy groups can involve more residents at a lesser expense. Although some people truly need one-on-one intervention, many people can be successful – and perhaps even more fully engaged – in a music therapy group. This may be true even if they are not successful in other group activities. Music really is something that we experience in community, so music therapy groups are perfect for encouraging interaction and relationship-building among residents and staff. This is probably different than with performers who come to entertain the residents with a musical performance, since listening to a performance is often a more passive experience. Even as the communal experience of music-making leads to social interaction in general, the music experiences and verbal discussions can be structured to encourage life review. As residents share their memories, others’ memories can also be triggered, which can draw residents into sharing who might not do so in a 1:1 setting. 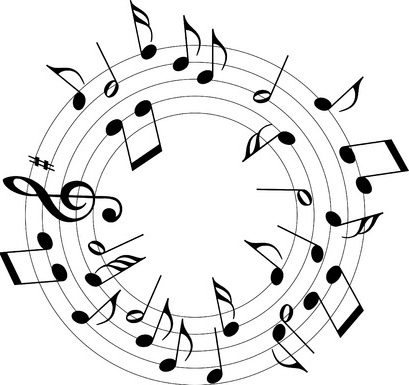 The music therapy groups that I facilitate integrate many different kinds of music and a variety of music experiences. For a list of music experiences that I use frequently in music therapy groups, click here. This variety means that I can meet the needs, strengths, and interests of many different people in the same session. In contrast to music groups focused on a particular activity (e.g. sing-alongs) or a particular outcome (e.g. handbell choir), my primary focus in music therapy groups is to respond to residents in the moment, with both verbal and musical interactions. If that changes the course of the experiences I had planned, that is perfectly fine. In addition to flexibility in the moment of music-making, I am also flexible to adapt the flow of music-making experiences as the group changes over time. As residents enter and exit the music therapy group, we may shift to more singing, or more drumming, or more movement experiences. We may bring a focus to the music of different cultures or genres or time periods to suit the members of a group at a particular time. This process of adaptation is completely centered on the needs of the residents rather than any idea of what should be accomplished during a particular group session. While music therapy is often entertaining (and probably should be in this setting), the goal is not merely to keep the residents busy and happy. Again, there are exceptions, but most of the groups I facilitate do not focus on deep issues or require a lot of hard work on the part of the resident. Sometimes I even discourage labeling a group “music therapy” on a calendar or when inviting residents to attend, because the label of “therapy” just might be too intimidating for what these groups involve. Music therapy groups are also not focused on one musical activity (e.g. sing-along, chair dancing, rhythm band). Since these groups are resident-centered, integrating a variety of experiences in each session allows me as the music therapist to adapt the experiences in the session to meet the residents’ needs on a given day. Of course, other music therapists will have their own way of structuring group music therapy to meet the needs of the residents and agencies they serve, but these ideas do apply to all of the group music therapy sessions I provide. How do the music therapy groups in your facility or practice compare? In the meantime, stay tuned for the next post in this series on specialized music-making groups! What a wonderful resource you are creating: music therapist may share it, LTC staff can gather info. Thank you! Rachelle, thank you again for pointing me to this great resource. So helpful as I develop contracts with LTC facilities. You make clear and concise comparisons as to what music therapy groups are and aren’t. Kudos! I’m so glad you found this to be helpful! Let me know how it works out for you.